Paladins is officially coming out of early access and will be launching on May 8, 2018. Over 20 million players contributed by playing in the beta and now it is almost time for Paladins: Champions of the Realm to finally officially come out of early access. In order to celebrate the grand occasion, Hi-Rez will be giving away up to $100 million in in-game currency. To top things off, there will also be a Paladins launch party tournament at the eSports Arena in Las Vegas. The Tournament will take place on May the 5th to the 6th with six teams from all around the world competing for an impressive $100,000 prize pool. 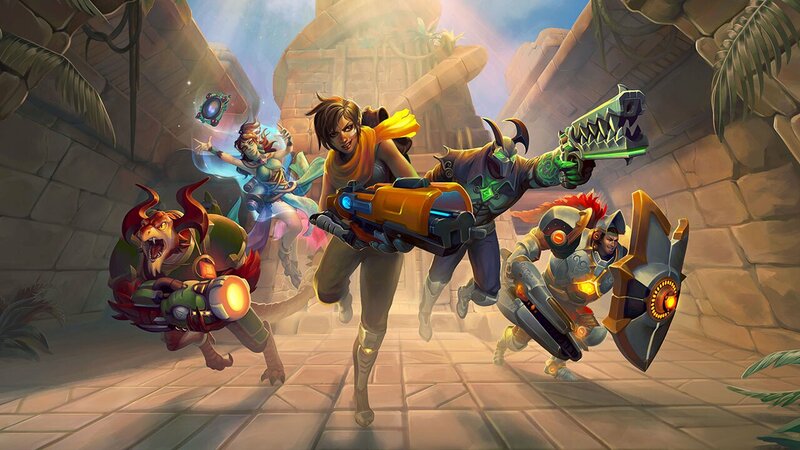 Fans of mobile games are in for a treat as well, as Hi-Rez Studios will also release Paladins Strike, a mobile shooter set within the expansive and rich world of the Paladins universe. Paladins strike is available now on both iOS and Android storefronts. Players that check out Paladins Strike can unlock two special free skins in Champions of the Realm. Paladins: Champions of the Realm will remain free to play and is available on Steam, PlayStation 4 and Xbox One.